The telegraph Clint Adams receives from Prescott, Arizona, requests he come running. Why or what for doesn't matter. If his good friend Harlan Banks sent it, he needs help. Trouble is, no one in Prescott is fessin' up to having seen Harlan Banks. The town itself is crookeder than a zigzagging sidewinder. Usually Clint's persistence pays off, but this time it earns him a one-way ticket to infamous Yuma Prison. 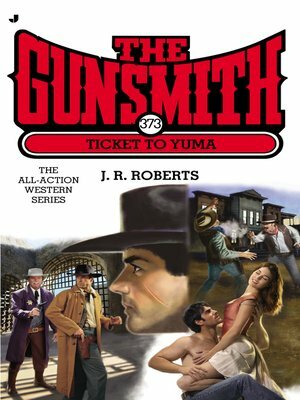 Inside Yuma with his notorious reputation—and without a gun—the Gunsmith might as well have a bull's-eye painted on his back. Clint has to make friends fast, and devise an escape even faster. He won't have his usual weapons, but Clint's best shot at learning the truth is to blast his way out of a prison built on deceit, lies, and corruption.